Our client was looking for something eye-catching, memorable and a little bit different to take to the MIPIM real estate event. It needed to grab the attention of influential people from all sectors of the international real estate industry. We’ve classed this as a leaflet, but it’s way more than that. It's interactive cardboard engineering. After opening the front cover you are presented with a tab on the right edge. Once you start pulling the tab you start a journey through the leaflet, as the tab glides right it lifts the pages revealing the next one. Reading the leaflet is an experience and one that isn't easily forgotten. 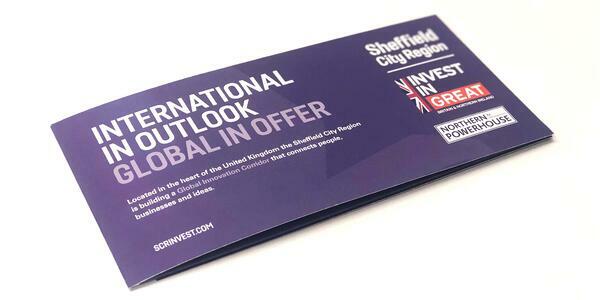 LIKED Sheffield City Region's JOB? 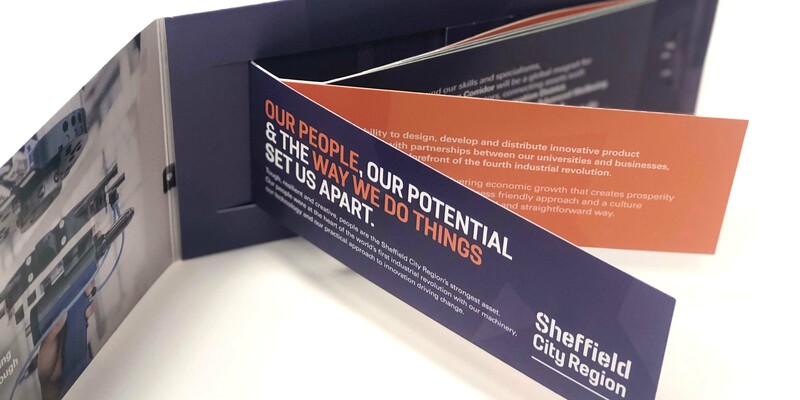 Sheffield City Region was delighted with the results and impressed with our ability to take a printed leaflet to the next level. We managed to make an ordinary leaflet extraordinary by using the tab feature. 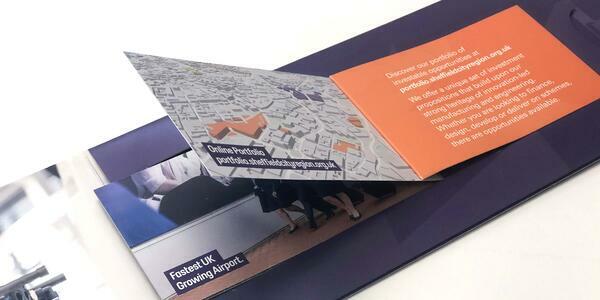 If you liked the look of this leaflet and what the power of print can produce, get in touch with one of the team members here at B&B Press and we'll make your next project, a BeBrilliant one.